Temple Emanu-El — home to the largest reform Jewish congregation in the South — hired Dallas architects Howard R. Meyer and Max M. Sandfield to design their new home (with William W. Wurster of the University of California serving as consultant); the project was announced in 1954, and dedication ceremonies of the finished building(s) took place in February, 1957, probably around the time the photos below and above were taken. 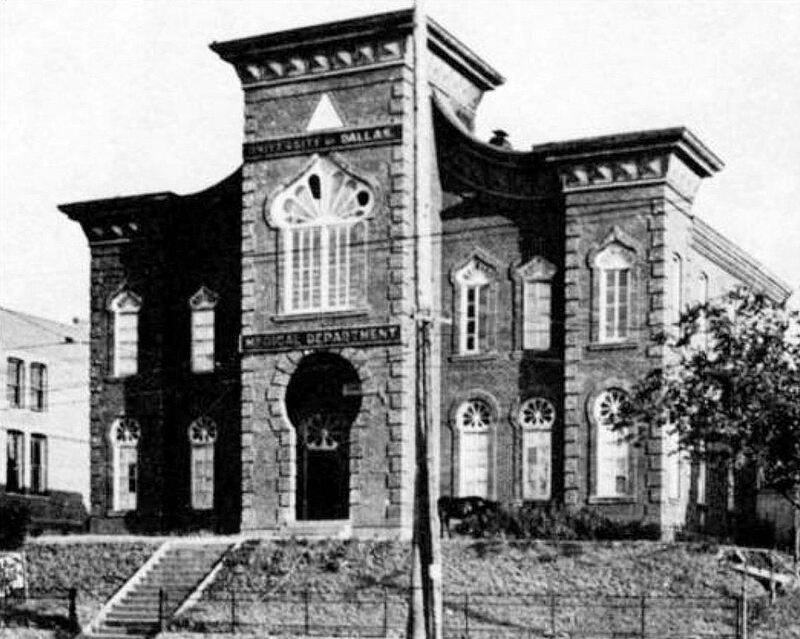 Below, the first Temple Emanu-El, built in 1876 at Commerce and Field, designed by architect Carl G. DeGrote. It was dedicated May 28, 1876 (read the extensive coverage of the ceremonies as printed in the Dallas Herald here — click “zoom” to read). 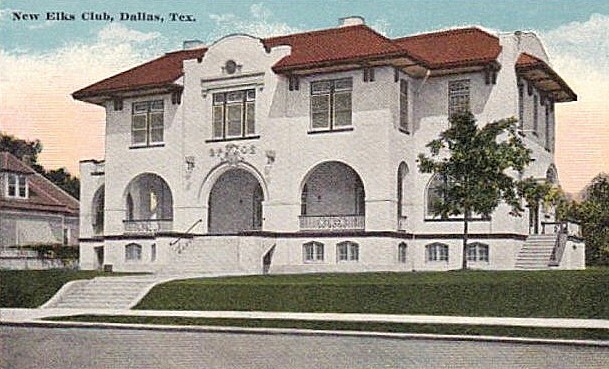 After a move to their next location, the old temple became the University of Dallas Medical Department in 1900; it was demolished around 1906. 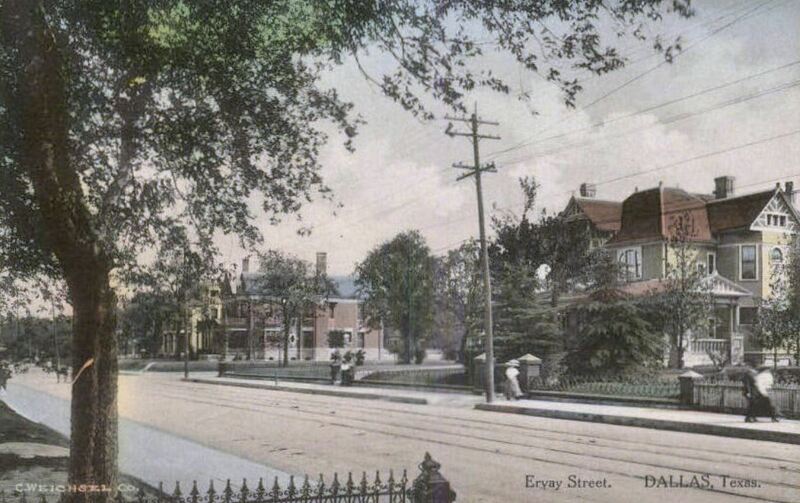 The second site was at the corner of S. Ervay and St. Louis, in The Cedars, built around 1898, designed by architects J. Reilly Gordon, H. A. Overbeck, and Roy Overbeck. 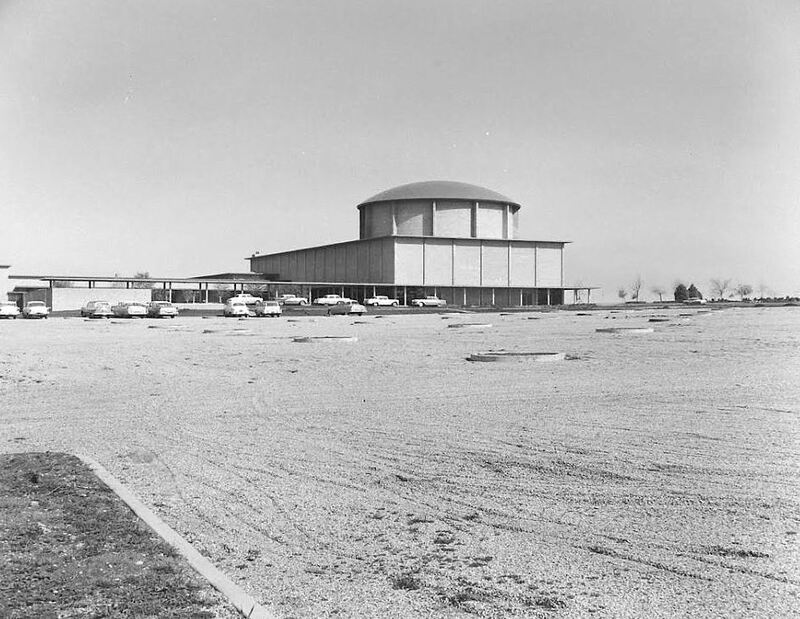 Following another move in the ‘teens, the building was converted into a Unitarian Church; it was demolished in 1961 to make room for R. L. Thornton Freeway. 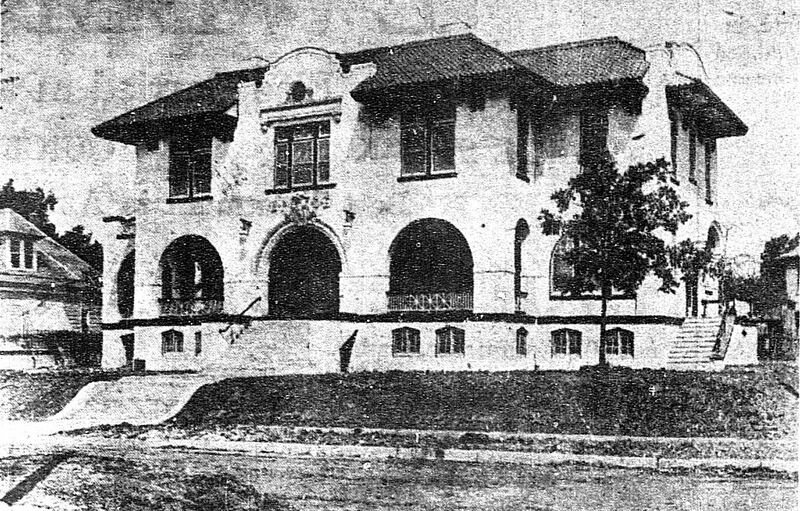 The congregation moved into its third location about 1917: a new Hubbell & Greene-designed building at South Boulevard and S. Harwood, where they remained until the move to the new Hillcrest location. 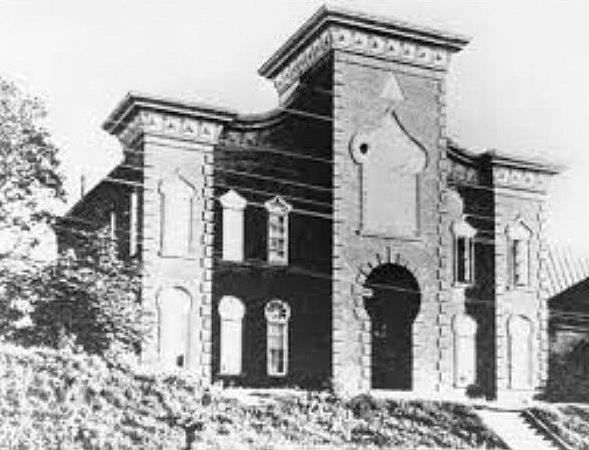 This building was demolished in 1972. 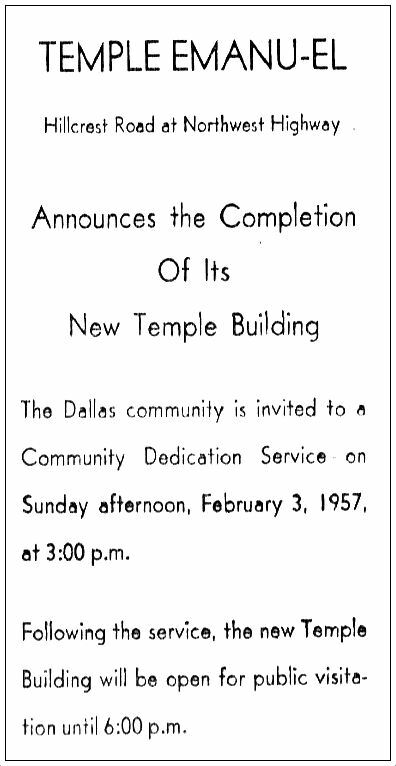 The congregation officially moved to their fourth (and current) location, in North Dallas, at the beginning of 1957, led by Rabbi Levi A. Olan. First three photos by Life magazine photographer Joe Scherschel, © Time Inc. More than 100 photos from this assignment can be found here and here. 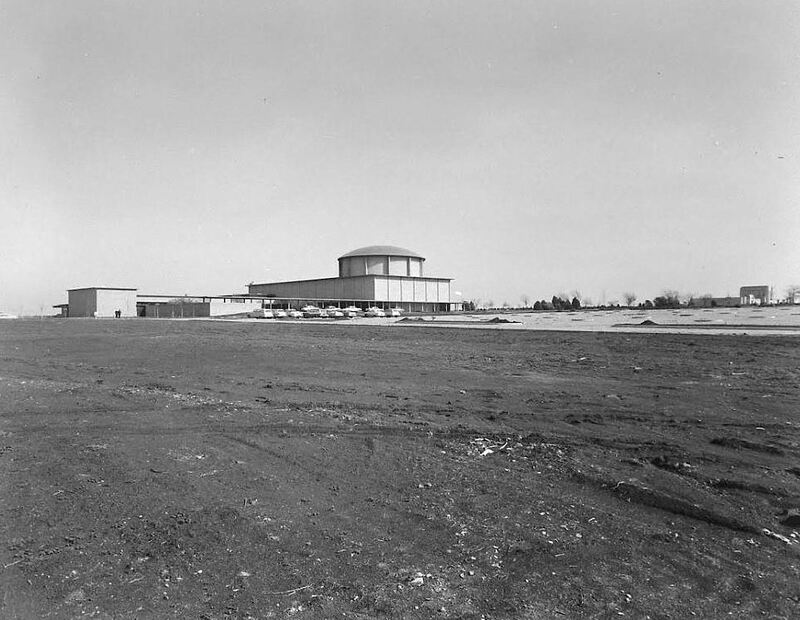 Supposedly there was a cover-story on the new building, but all I’ve found is this one-page photo-with-caption from the Feb. 25, 1957 issue. If anyone has info on a lengthier Life story, please let me know. 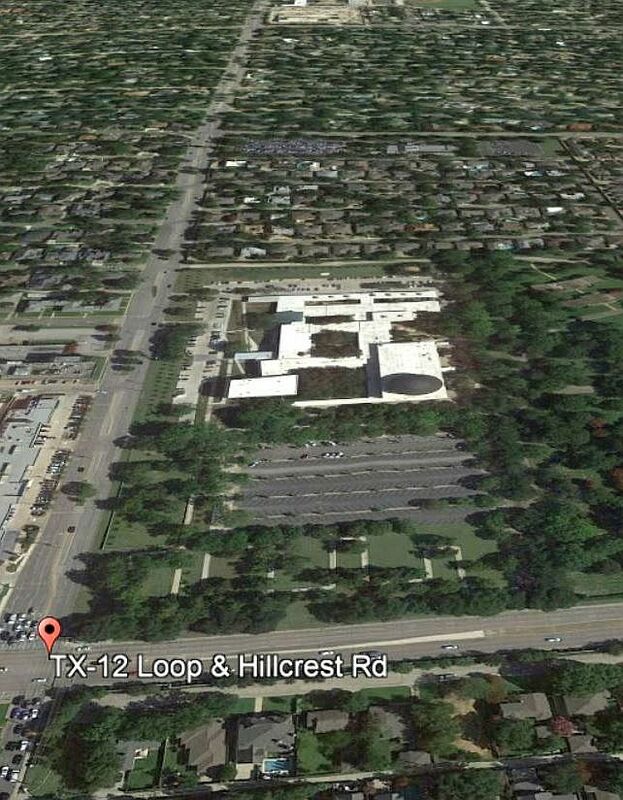 Read the Temple Emanu-El entry in the Handbook of Texas here. 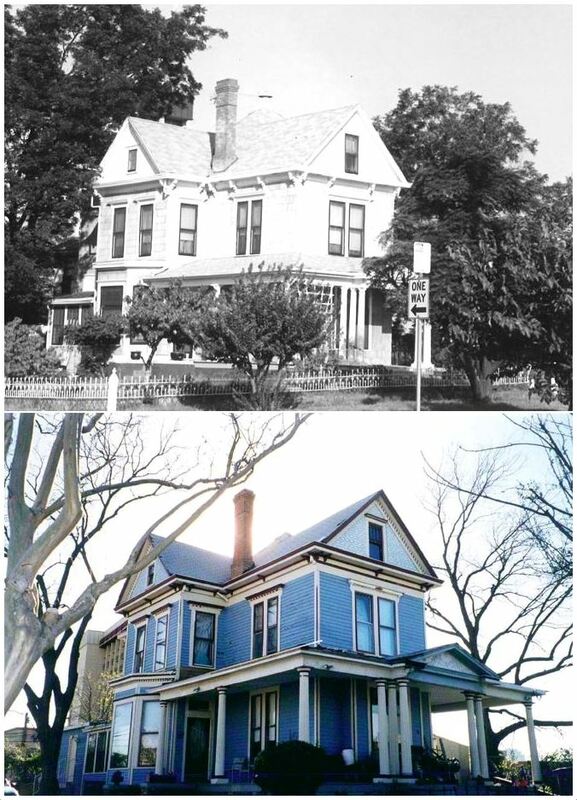 The history page of the Temple Emanu–El website is here. 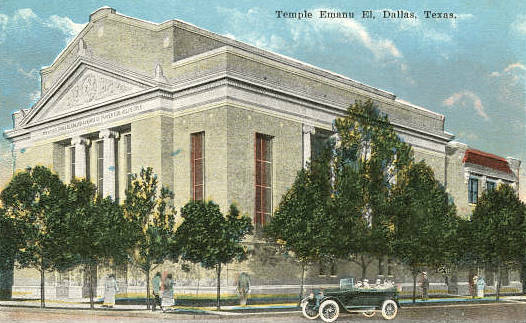 Head to the Dallas Morning News archives to read about the art and architecture of Temple Emanu-El in the article “A Temple of Art, Architecture — The Forms Merge In Well-Designed Emanu-El” by architecture critic David Dillon (DMN, Dec. 24, 1984). 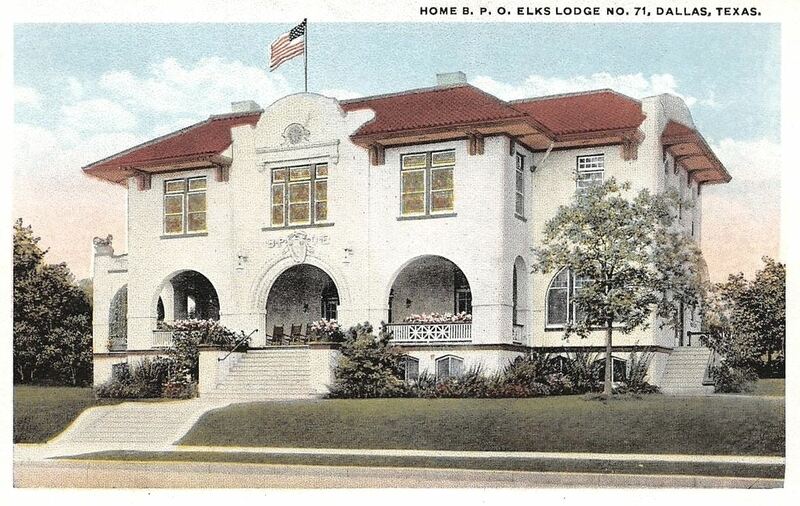 A comprehensive history of Temple Emanu-El and Jewish life in Dallas (well-illustrated with photographs) can be found in the book A Light in the Prairie, Temple Emanu-El of Dallas, 1872-1997 by Gerry Cristol (Fort Worth: TCU Press, 1998). 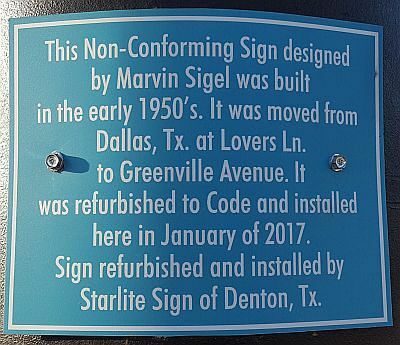 During World War II, Mustang Village — a large housing development originally built for wartime workers (and, later, for returning veterans) — sprang up across Fort Worth Avenue from the restaurant. 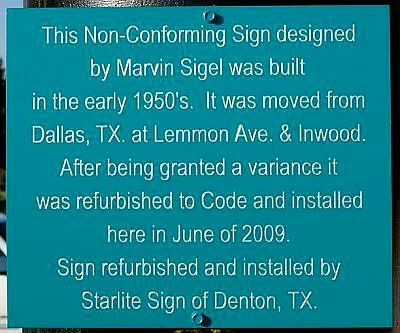 It was intended to be temporary housing only, but because Dallas suffered such a severe post-war housing shortage, Mustang Village (as well as its sister Oak Cliff “villages” La Reunion and Texan Courts) ended up being occupied into the ’50s. Suddenly there were a lot more people in that part of town, living, working, and, presumably, visiting restaurants. 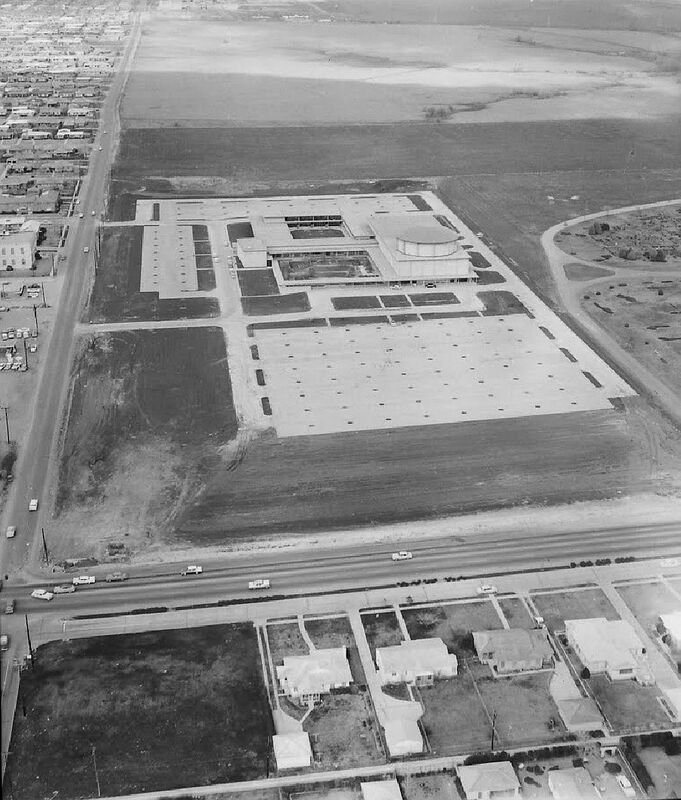 As the 1960s dawned, Mustang Village was just a memory, and Roth’s new across-the-street neighbor was the enormous, brand new, headline-grabbing Bronco Bowl, which opened to much fanfare in September, 1961. 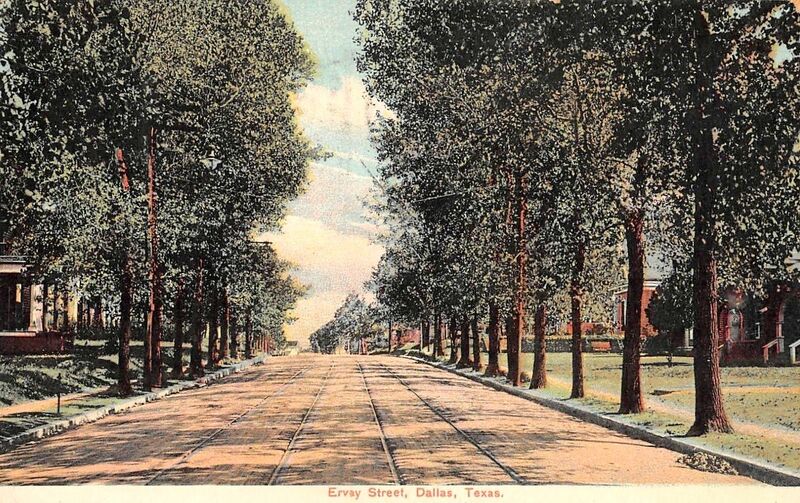 I don’t know whether such close proximity to that huge self-contained entertainment complex hurt or helped Roth’s business, but it certainly must have increased traffic along Fort Worth Avenue. 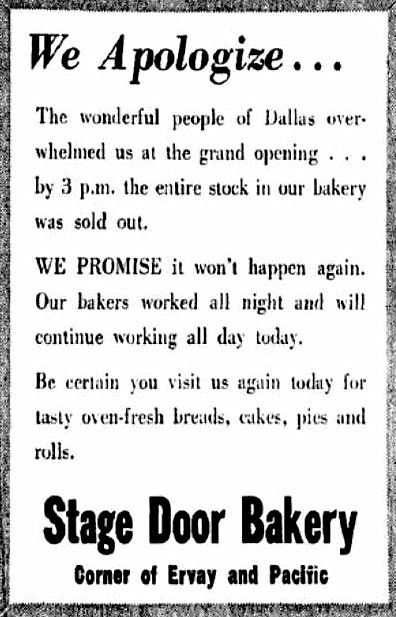 Roth’s continued operations until it closed in 1967, perhaps not so coincidentally the same year that Oak Cliff’s beloved Sivils closed. 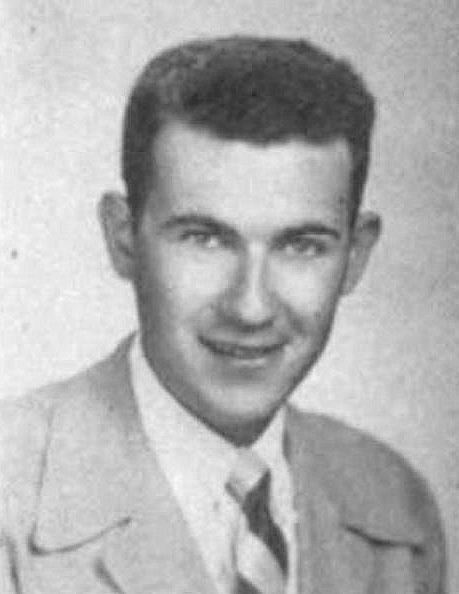 Ernest Roth, like J. D. Sivils, most likely threw in the towel when a series of “wet” vs. “dry” votes in Oak Cliff continued to go against frustrated restaurant owners who insisted that their inability to sell beer and wine not only damaged their own businesses but also adversely affected the Oak Cliff economy. 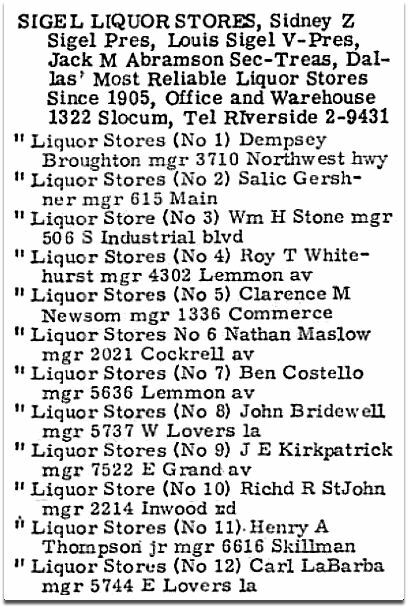 The last straw for Sivils and Roth may have been the unsuccessful petition drive in 1966/1967 to force a “beer election” — read about it here in a Morning News article from Aug. 17, 1966). As far as that super-cool building seen at the top — I don’t know how long it remained standing, but when Roth’s closed, a mobile home dealer set up shop at 2601 Fort Worth Avenue, and mobile homes need a lot of parking space…. The building on the matchbook cover above is, unfortunately, long gone (as is the much-missed Bronco Bowl); the area today is occupied by asphalt, bland strip malls, and soulless corporate “architecture” (see what 2701 Fort Worth Avenue looks like today, here). The man behind Roth’s was Ernest W. Roth, a Hungarian immigrant who had worked for many years as maître-d’ at the Adolphus Hotel’s tony Century Room. 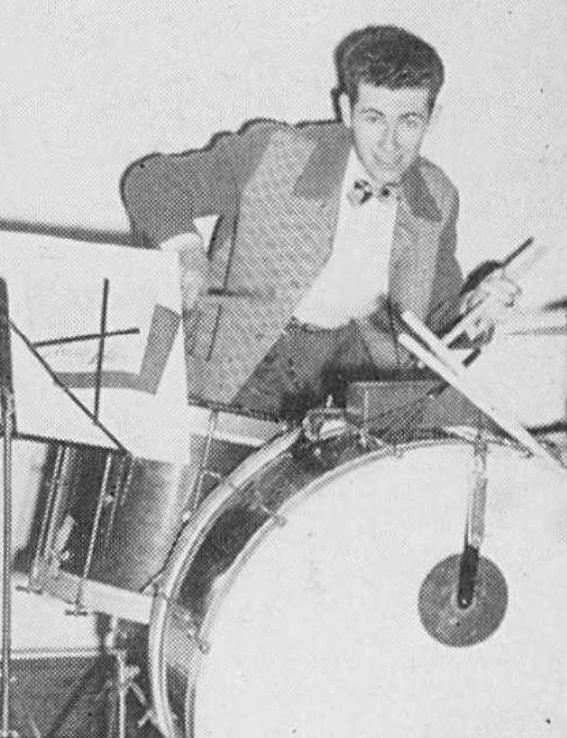 He decided to go out on his own, and around 1940 he and his business partner Joseph Weintraub (who was also his brother-in-law) opened the Oak Cliff restaurant which boasted two dining rooms (with a seating capacity of 350, suitable for parties and banquets), fine steaks, and a live band and dancing on the weekends. 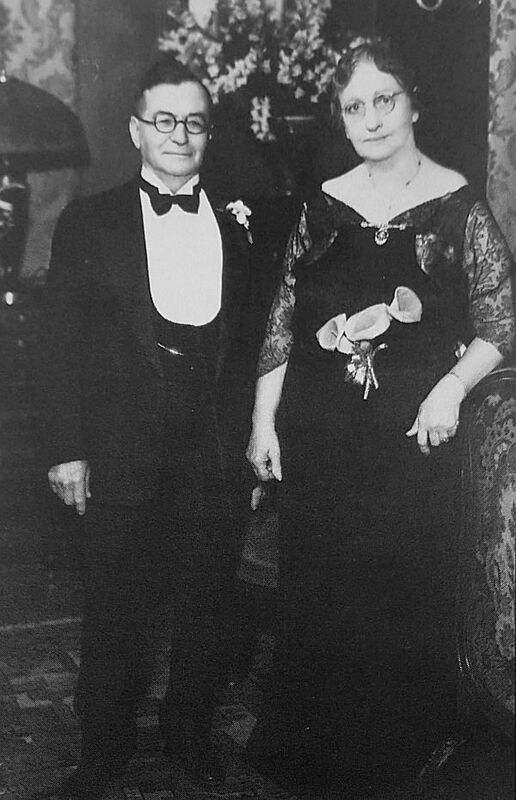 Ernest’s wife Martha and their son Milton were also part of the family business. When the restaurant opened, there wasn’t much more out there on the “Fort Worth cut-off,” but the place must have been doing something right, because Roth’s lasted for at least 27 years — an eternity in the restaurant business. 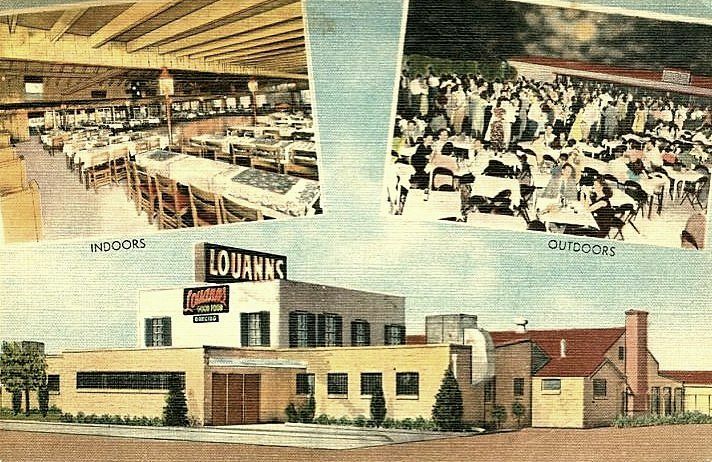 It seems to have remained a popular Oak Cliff dining destination until it closed around 1967. The real story, though, is the Roth family, especially Ernest’s mother, Johanna Roth, and even more especially, his older sister, Bertha Weintraub. Johanna Rose Roth was born in 1863 in Budapest, where her father served as a member of the King’s Guard for Emperor Franz Josef. She and her husband and young children came to the United States about 1906 and, by 1913, eventually made their way to San Antonio. In the ’40s and ’50s she traveled by airplane back and forth between San Antonio and Dallas, visiting her five children and their families — she was known to the airlines as one of their most frequent customers (and one of their oldest). She died in Dallas in 1956 at the age of 92. I feel certain that the extended Roth family found themselves entertained by quite a few unexpected stories around holiday dinner tables! Matchbook cover (top image) is from the George W. Cook Dallas/Texas Image Collection, DeGolyer Library, Central University Libraries, Southern Methodist University; more info is here. 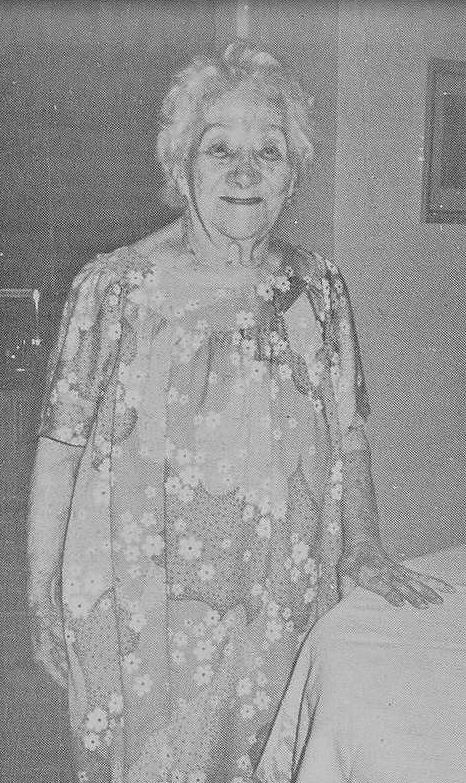 Photo of Bertha Weintraub is from The Texas Jewish Post (Feb. 15, 1990), via the Portal to Texas History, here. 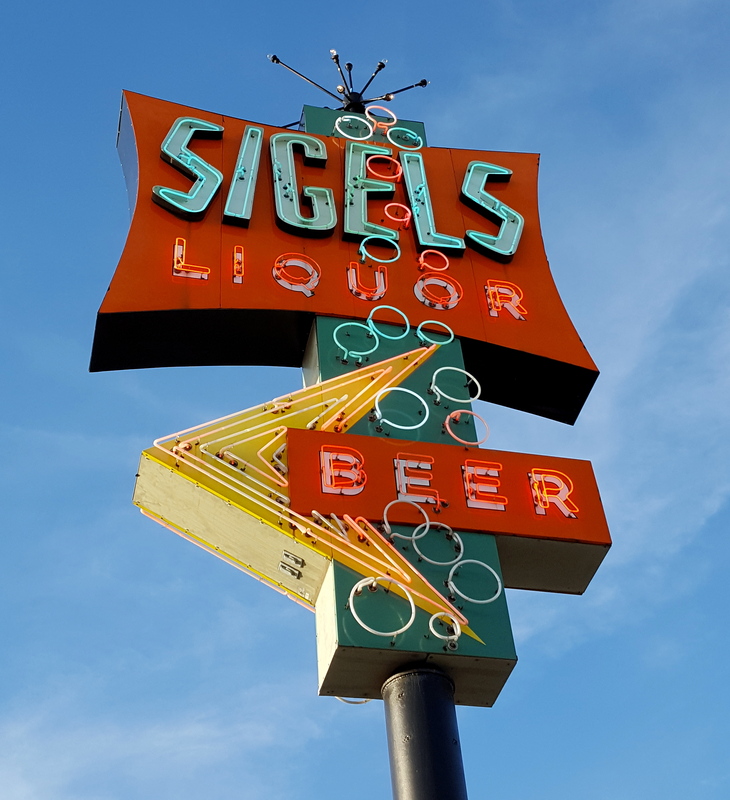 Why does Dallas have so few delis? 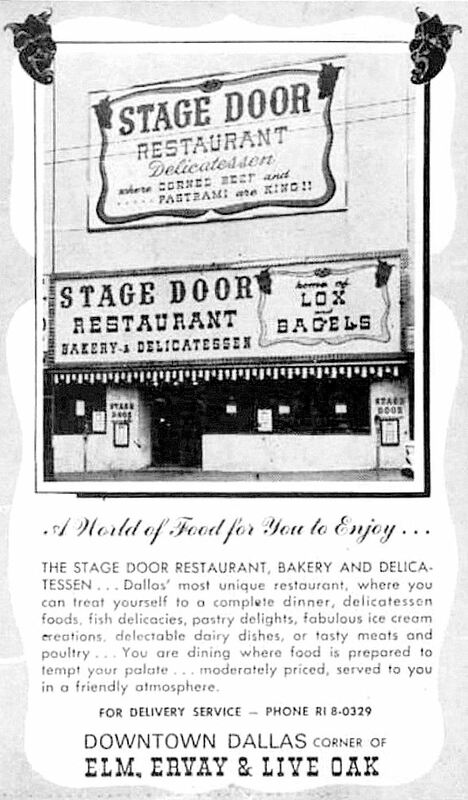 Here’s one that seemed to be pretty popular in the 1960s: the Stage Door Restaurant and Delicatessen (and bakery), located at 1707 Elm, between the Palace Theater and the Dallas Athletic Club. It opened in June, 1965 and lasted until the end of 1968 (when it was replaced by a restaurant called King Beef). 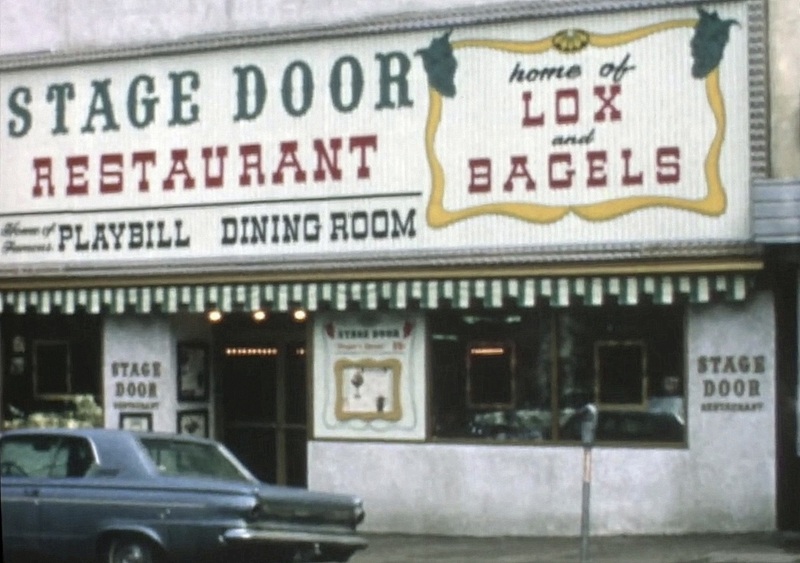 I doubt there was any connection with the famous Stage Deli in New York, but manager Milton Stackel certainly had kosher cred of his own, having worked for twenty years at Grossinger’s, the legendary Jewish resort in the Catskill Mountains. I’m not sure how he found himself operating an eatery in downtown Dallas, Texas, but I’m glad he was here. 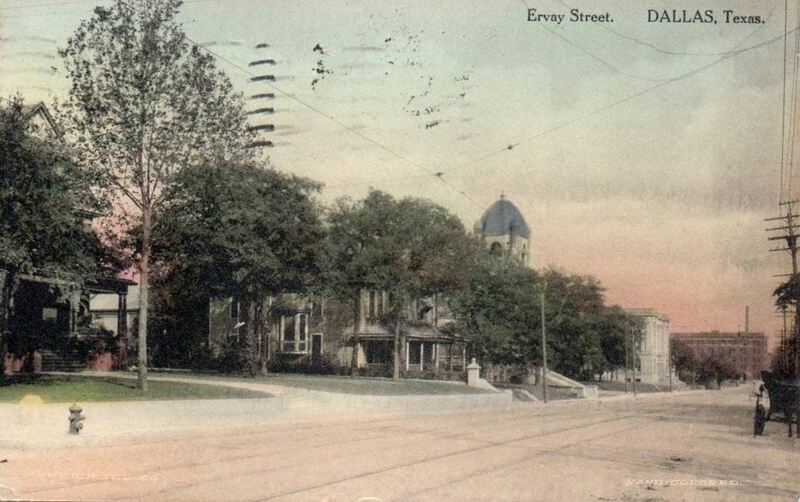 The apparently quite popular eatery was located at/near the old five-point Elm-Ervay-Live Oak intersection (seen here a dozen years earlier — the Stage Door would later be between Lee Optical and Haverty’s). There were two dining areas, one of which was The Playbill Dining Room which served an “international-type cuisine in a Gay Nineties atmosphere.” There was also a thriving take-out deli and the nearby bakery. And now? Come on, Dallas restaurateurs! Get to work! 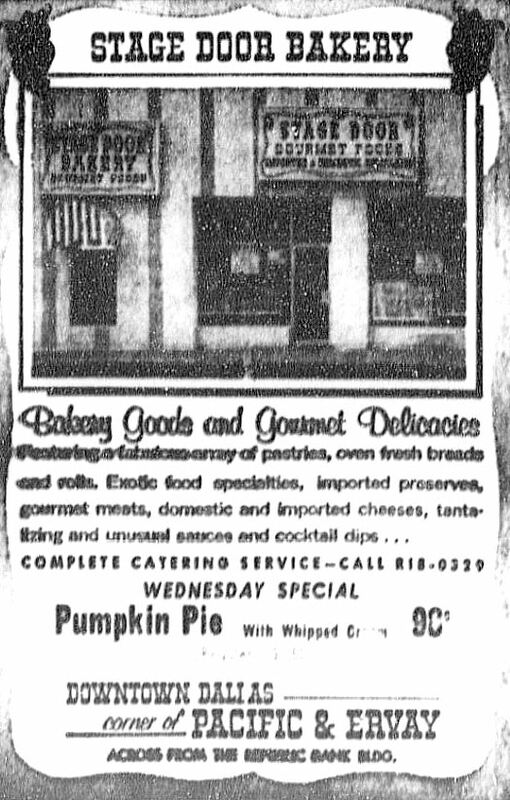 This ad shows the bakery entrance next door. Top image is a screengrab from a YouTube video, here, containing footage shot downtown by Lawrence W. Haas on Memorial Day, 1966. 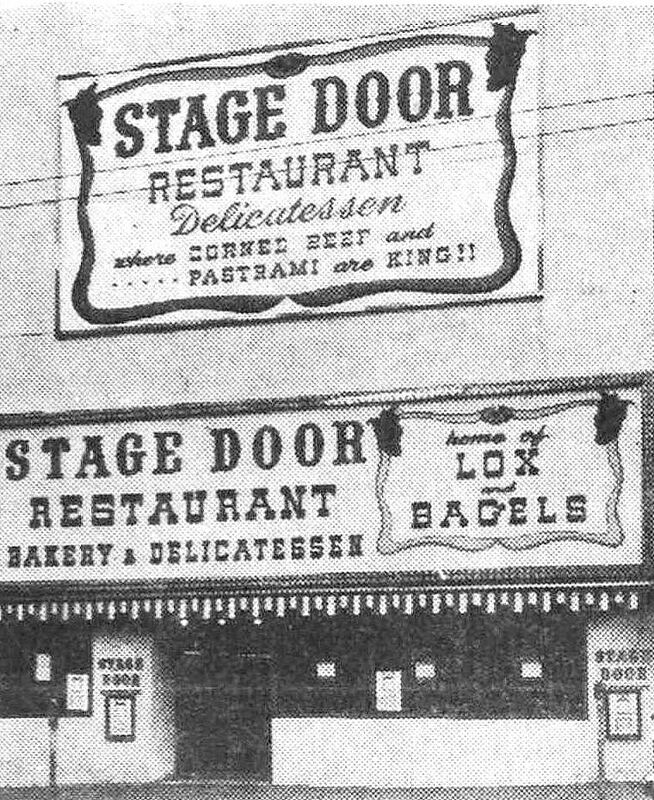 Read more about the opening of the new business (and see a photo of the interior) in the Dallas Morning News article “Stage Door Restaurant Makes Debut in Dallas” (DMN, June 3, 1965). My mailman-hating duck post of yesterday reminded me of this photo I’ve had tucked away in a digital file for months but have never used because I have no information about it. It shows several people — possibly a family? 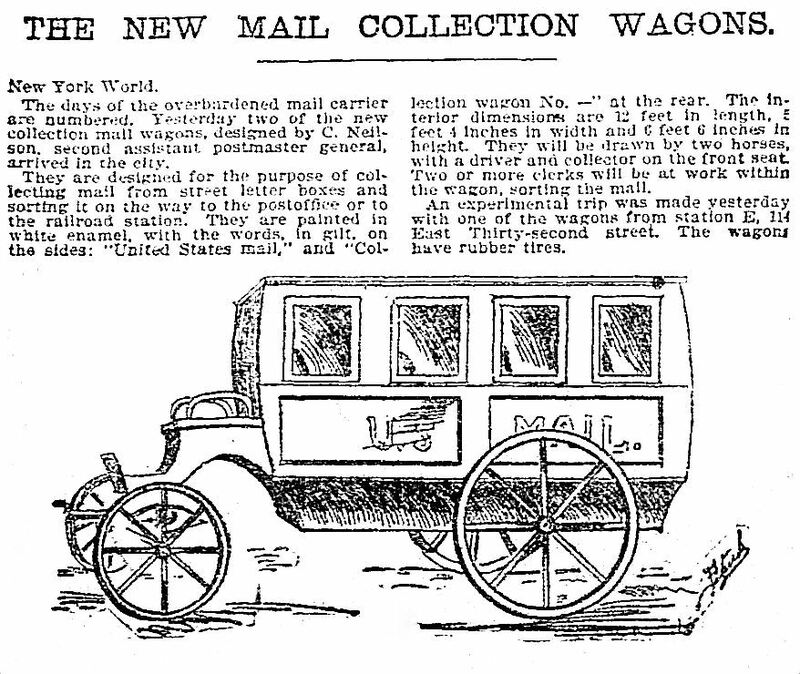 — gathered in and around a U.S. Mail wagon — “Collector No. 20.” The horse team is probably close by. 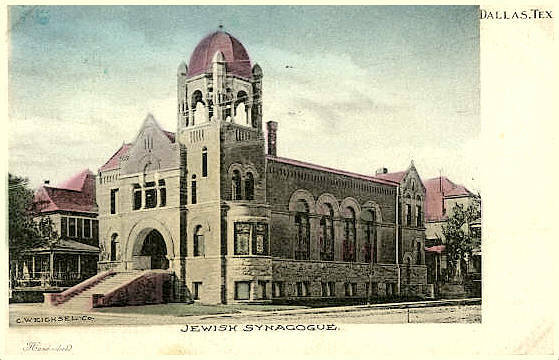 As this photograph was found on the Dallas Jewish Historical Society website, one must presume that the people seen here are Jewish. Why they’re posing with an unhitched mail wagon is unknown, but it’s a cool photo. Rural mail delivery began in Dallas in 1901, and wagons like this were eventually used to reach far-flung areas beyond the city. Some of them were set up to be mini mobile post offices, out of which the mail carrier could sell things like stamps and money orders while they were on their appointed rounds of delivering and collecting mail (these mobile post offices actually caused several rural post offices to close). They were constantly involved in collisions, mostly with electric streetcars slamming into them. I’m not sure why this happened so much — perhaps the trolleys were too fast and too quiet — but it was a constant problem. 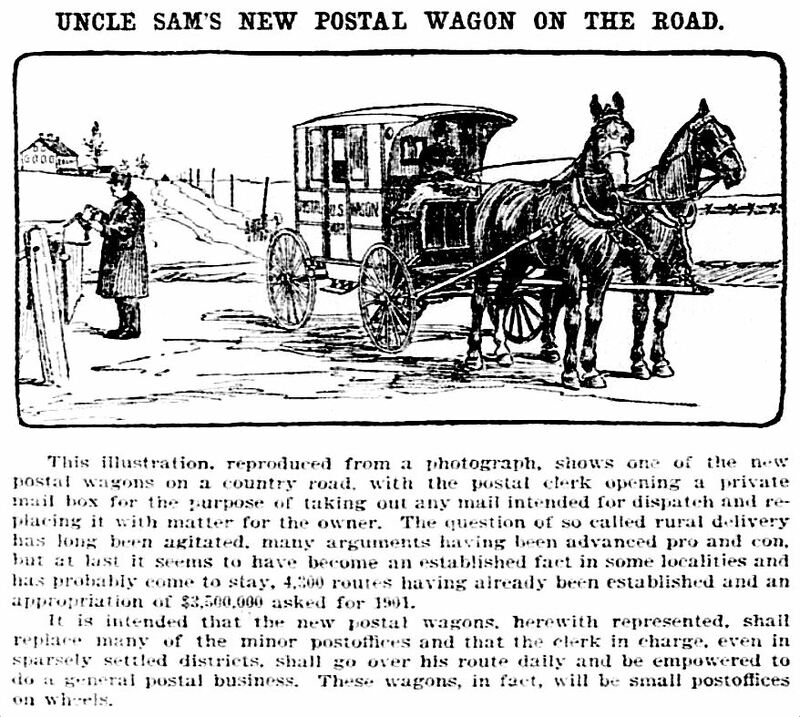 Also, these wagons, stuffed with letters and packages (and whatever goodies might have been contained therein), were often hijacked at gunpoint or stolen when left unattended. Kind of a holdover from frontier days of holding up stagecoaches. 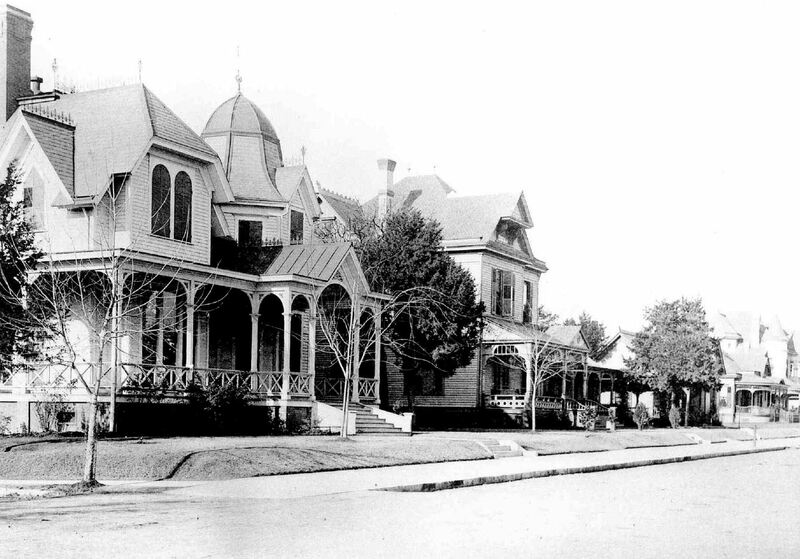 The life of a turn-of-the-century mailman was fraught with danger. Top photo from the Dallas Jewish Historical Society; I’d love to know some — any! 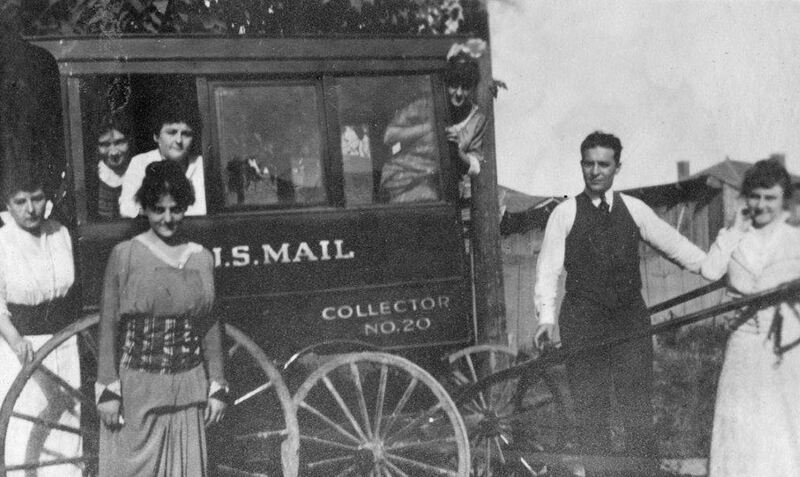 — information about who these people were and why they were posing with a mail wagon. 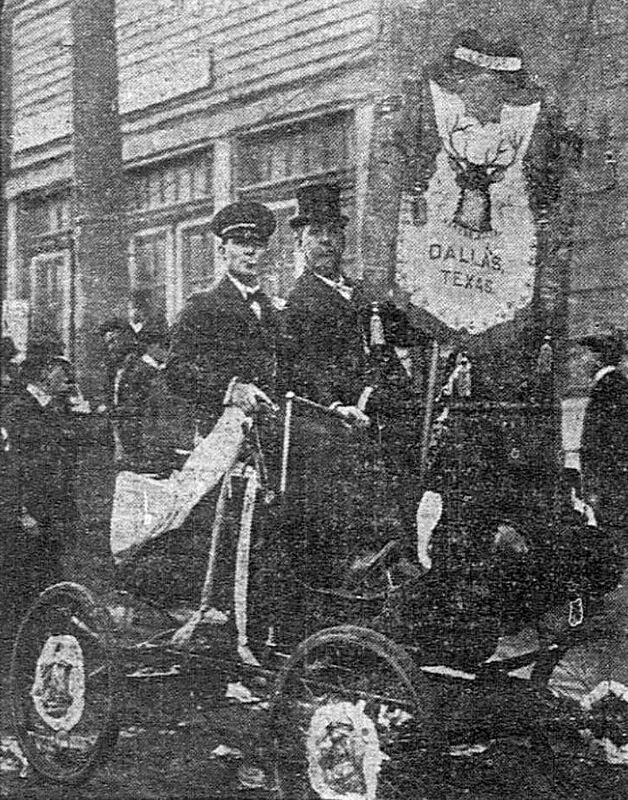 Read the 1925 memories of mail carrier James H. Jackson, who began his career with the Dallas post office in 1884, in the Dallas Morning News article “Dallas Postoffice Grew As City Grew” by W. S. Adair (DMN, Feb. 1, 1925). Another Dallas-mailman-related story I found interesting can be found in my post “Jim Conner, Not-So-Mild-Mannered RFD Mail Carrier,” here. 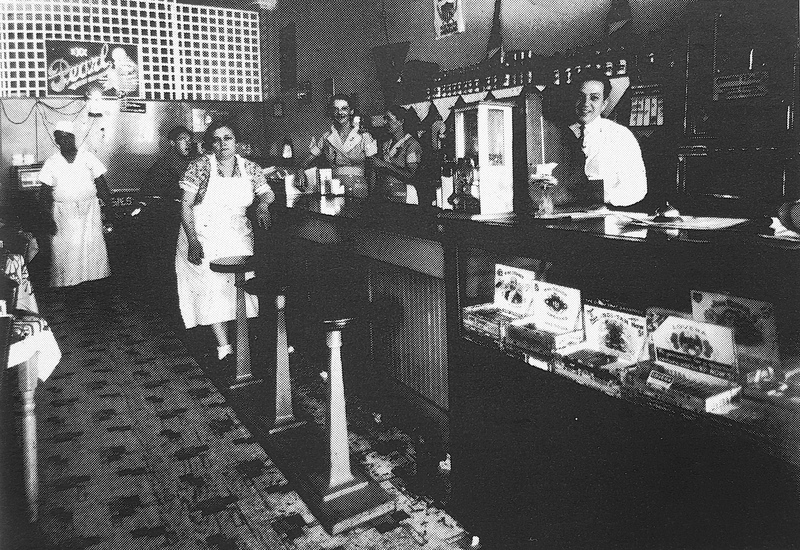 The Moskovitz Cafe was located at 2216 Elm Street, between S. Pearl and what is now Cesar Chavez Blvd., in an area of predominantly Jewish businesses. 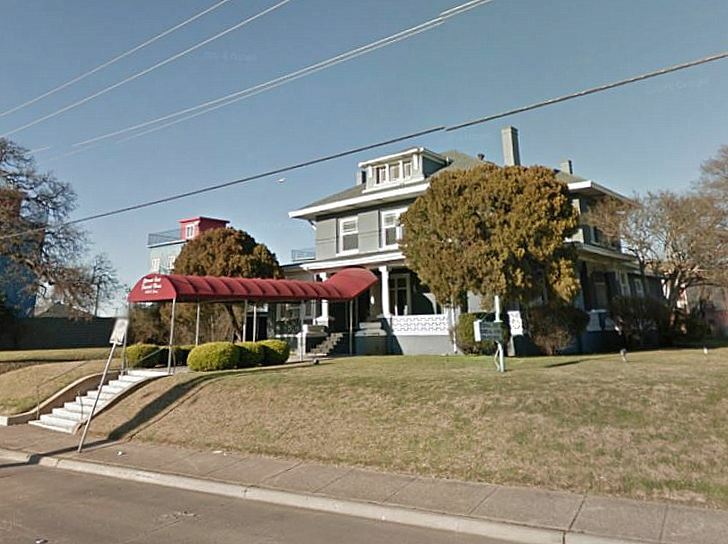 The restaurant served “Kosher and American cooking” and was owned and run by Lui Moskovitz, a Romanian immigrant, and his Polish-born wife, Eva. Eva, recently widowed, had arrived in Dallas in about 1928 with her three children and seems to have married Lui that same year. 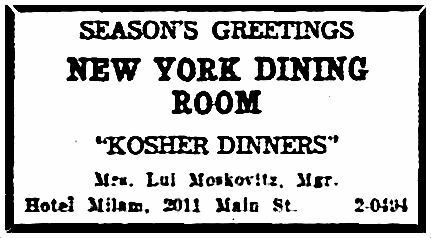 They had run another restaurant before the Moskovitz Cafe: the New York Kosher Dining Room on Commerce had been located across from the Adolphus Hotel for several years before it moved to 2011 Main, around the corner from City Hall. After that closed, they ran the Moskovitz Cafe between about 1937 and about 1944. 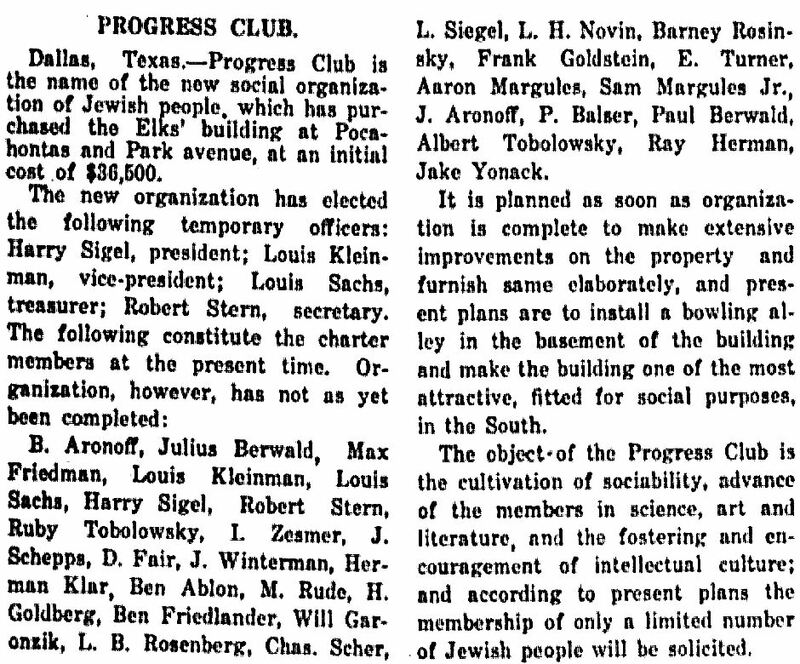 In 1945 there was no Lui or Eva Moskovitz in the Dallas directory. 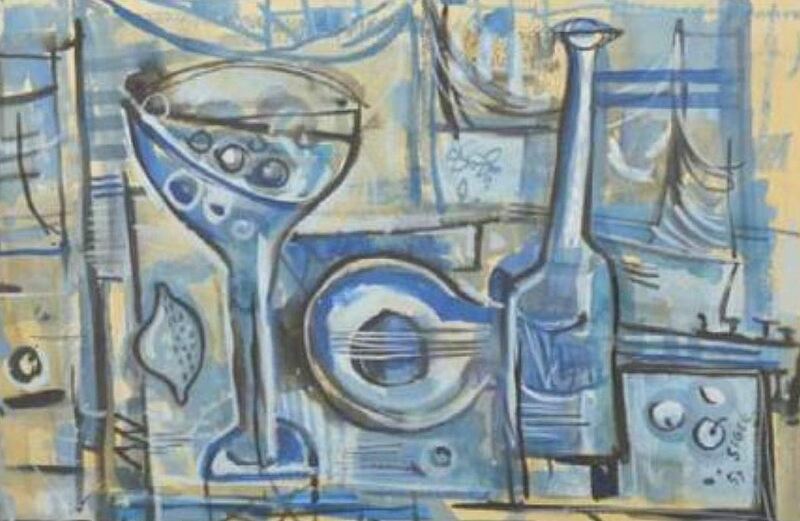 There was, however, an Eva Haberman — it appears that the Moskovitzes had split, Lui had left town, and Lui’s ex-wife had taken back the name of her late first husband. At this time she must have been about 60 years old, but she worked for the next few years as a department store seamstress and lived with one or more of her three sons from her marriage to Nathan Haberman. She died in April, 1961. Not only is there no trace of Lui after his time in Dallas, there is also no trace of 2216 Elm. 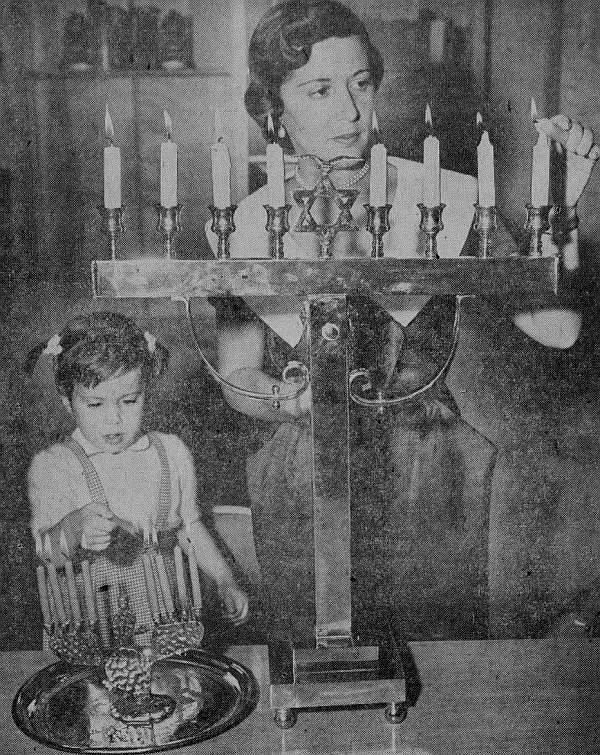 Photo appeared in the book Deep in the Heart: The Lives & Legends of Texas Jews, A Photographic History by Ruthe Winegarten and Cathy Schechter (Austin: Eakin Press, 1990); from the collection of the Dallas Jewish Historical Society. I’m not sure who the people in the photo are. When the Moskovitz Cafe opened, Lui would have been in his mid-40s and Eva would have been in her early 50s. UPDATE: Per the comment below (from Eva’s grandson), the woman in the white apron is the proprietress, Eva Moskovitz, and the man at the cash register is her son, Jack Haberman. More information about Mrs. Eva Haberman can be found in her obituary, published in The News on April 19, 1961. I thought I’d see what I could find about the history of the house — mainly I wanted to see if I could find who built it and when. 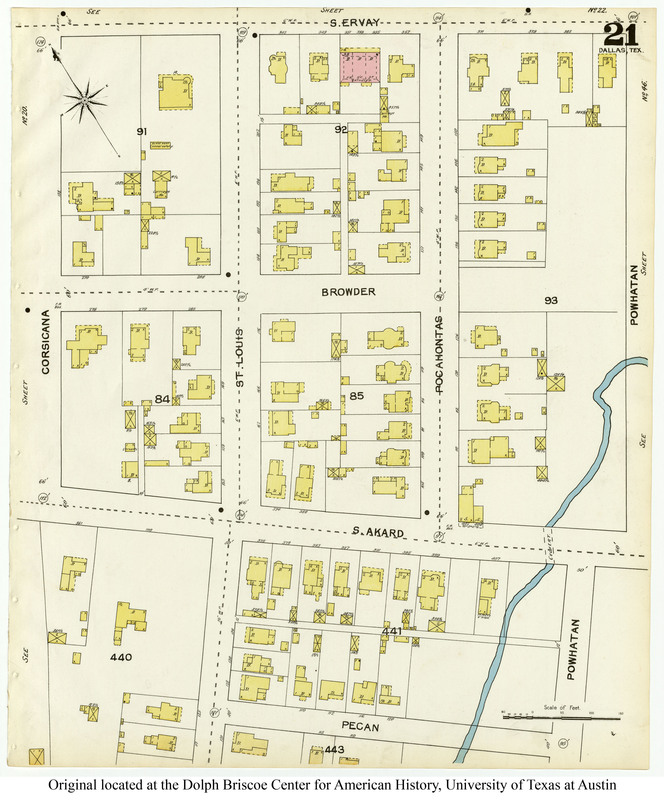 The house currently has the address 1423 Griffin, but before highways were built and streets were moved around, its address was 1015 Browder. 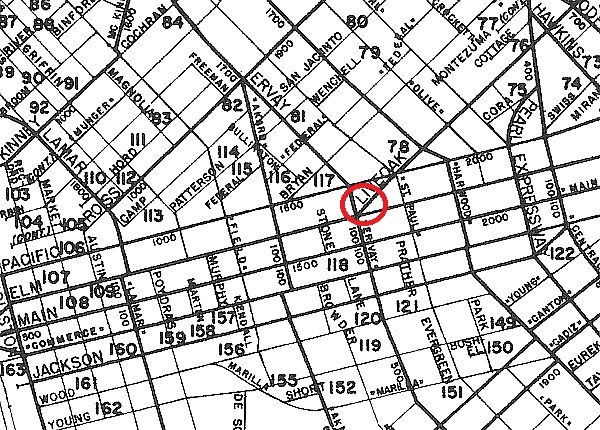 Dallas changed almost every address in 1911, so I checked Jim Wheat’s very helpful scan of that year’s directory which tells us both the new and the old addresses of houses and businesses and also shows what cross-streets those addresses are between. 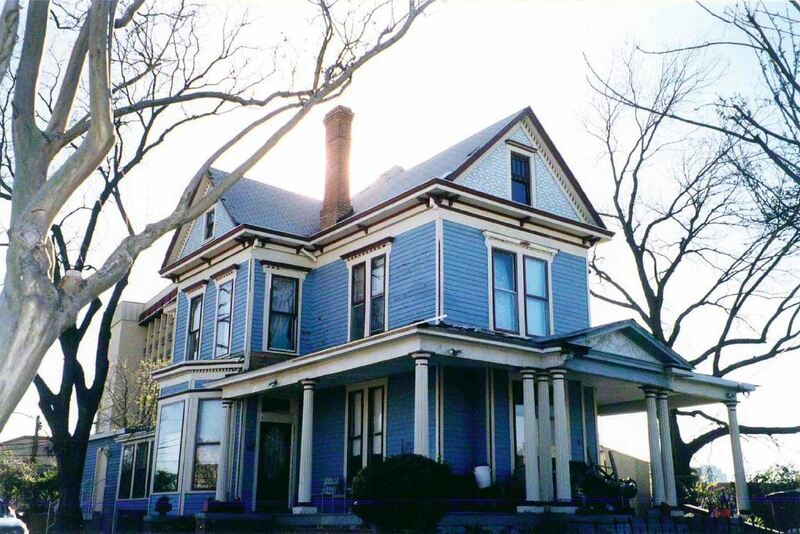 The original address of the Blue House was 285 Browder Street, between Corsicana and St. Louis. 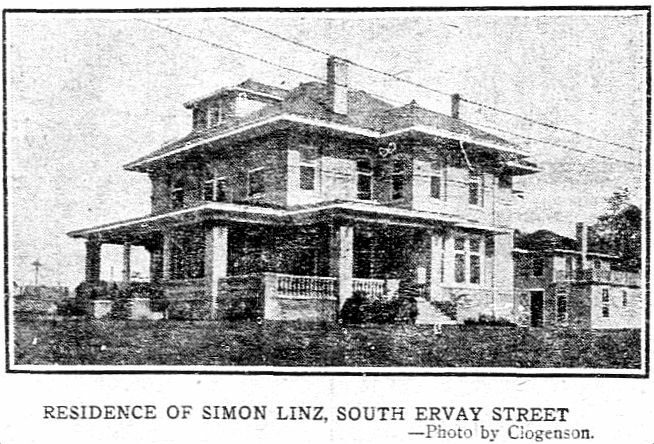 In 1911, P. F. Erb was living there. The names and other assorted scrawls indicate title change (I think). 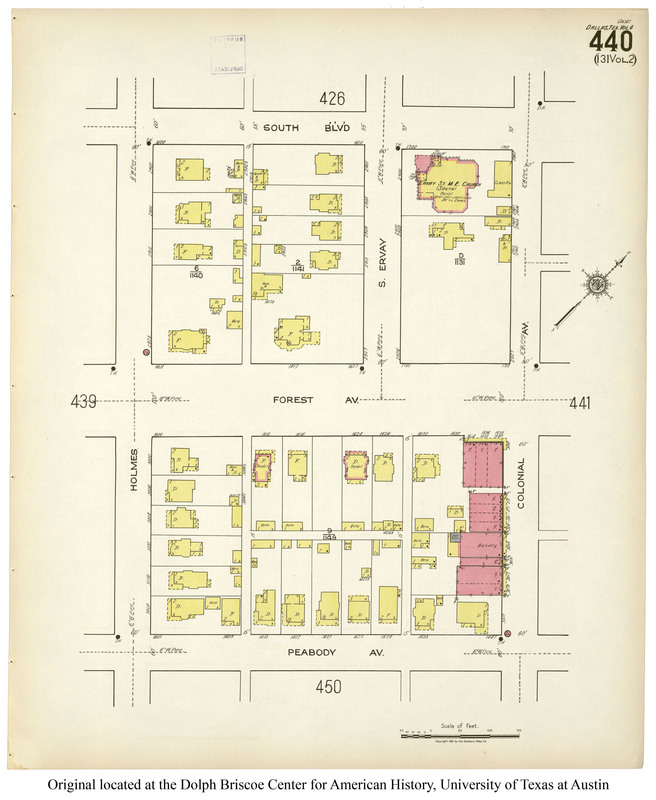 This page was very helpful, because it told me that this block was originally part of Browder/Browder’s Addition, and it was originally classified as Block 13. The lot in question is Lot 5 (and probably Lot 6, because Erb’s name shows up under both. So now I had terms to search on. And then it was just a tedious slog through the Dallas Herald archives (not to be confused with the Dallas Times Herald archives), the Dallas Morning News archives, and old city directories. Here’s what I found. 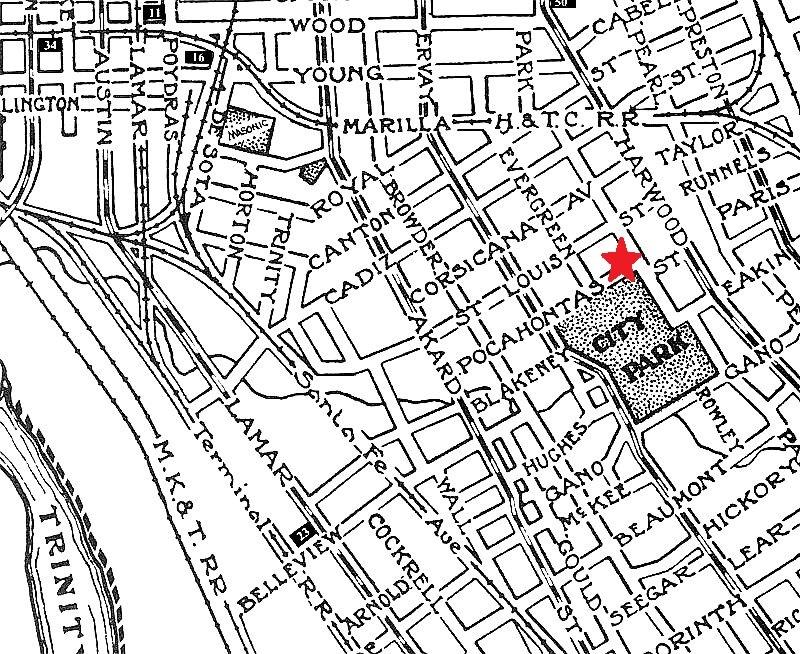 First mention of this particular parcel of land was in The Galveston News on March 24, 1883. P. S. Browder, a Browder family executor, transferred a lot of property — including the two lots I was interested in — to Mr. & Mrs. Nathan Godbold as part of a quitclaim deed (I’m probably not using the correct terminology here…). For one dollar. A few inches of print over, the record shows that Godbold immediately sold Lots 5 and 6 to Dallas real estate czar Charles Bolanz (misspelled below). For $1,000. In early 1887, a For Sale ad appeared in the Herald — real estate agents Ducker & Dudleigh were offering what appears to be Lots 5 and 6. By this time, houses had been built on both lots. 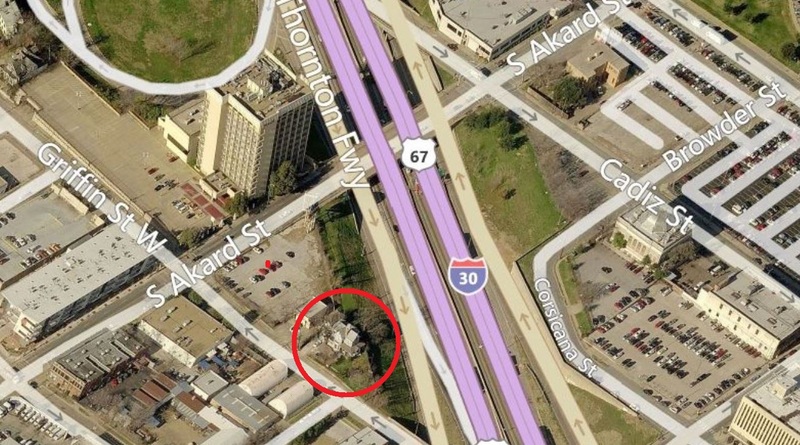 (The numbers 101 and 102 are confusing here, but the property being offered is the lot at the northwest corner of Browder and St. Louis and the lot adjoining it.) The price for the two-story house on Lot 5 was $6,250, which the Inflation Calculator adjusts to being about $166,000 in today’s money, taking into account inflation (but not taking into account Dallas’ outrageous real estate prices!). 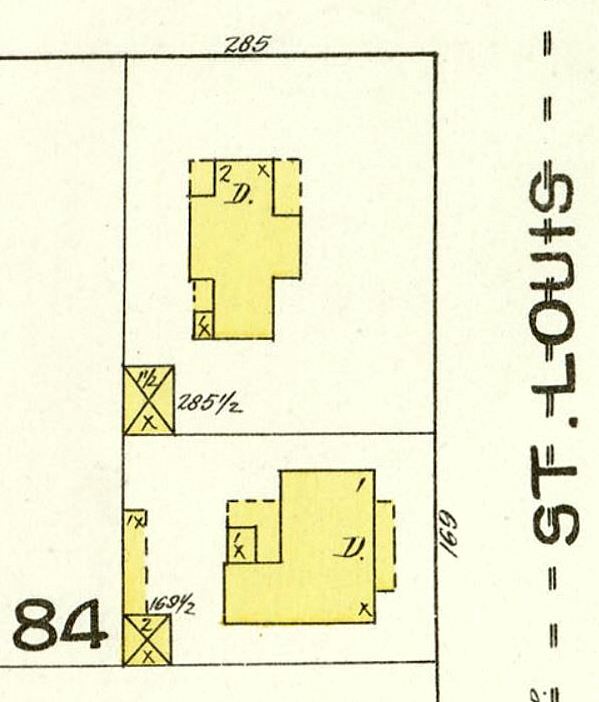 It doesn’t look like either property sold, because a few months later, the 1888 directory showed Max still living in the Lot 5 house facing Browder and mother Henrietta living in the Lot 6 house at 169 St. Louis. 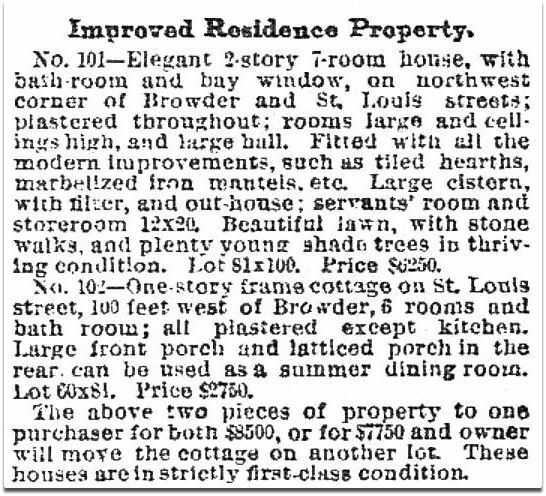 Rosenfield placed a For Rent ad in the paper in Feb. of 1889, offering his corner house on Browder. 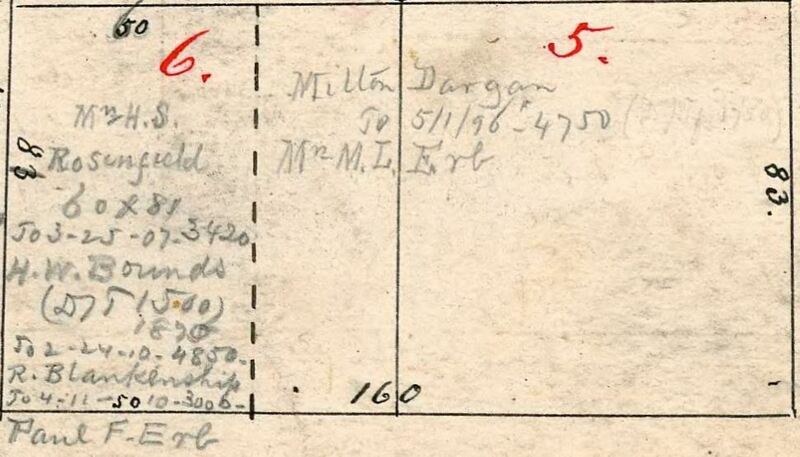 This appears to have been when businessman Milton Dargan moved in. He is listed as moving into the house at about this time in the addenda section of late changes for the 1889 directory (directories were usually compiled in the year before they were actually published). 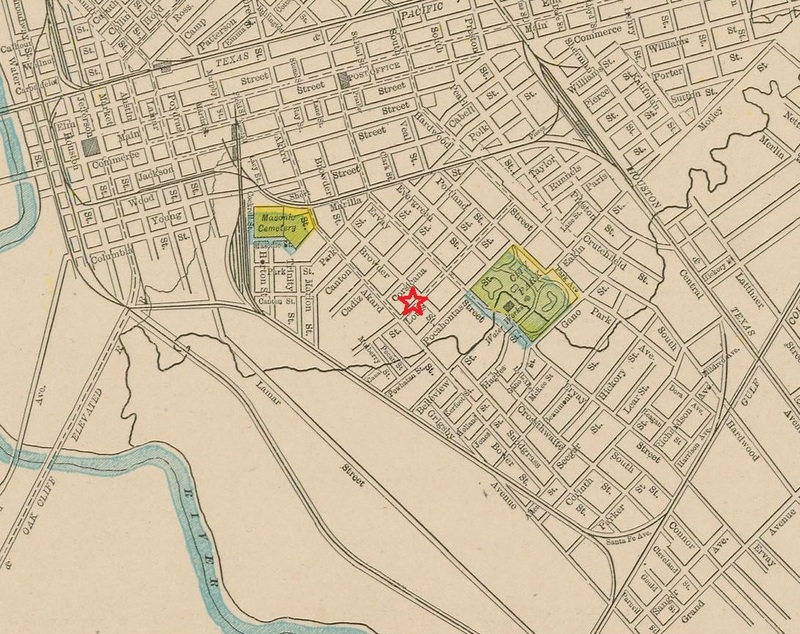 In that same directory, Rosenfield had moved in with his mother in the adjoining property. At some point Dargan bought the corner house. 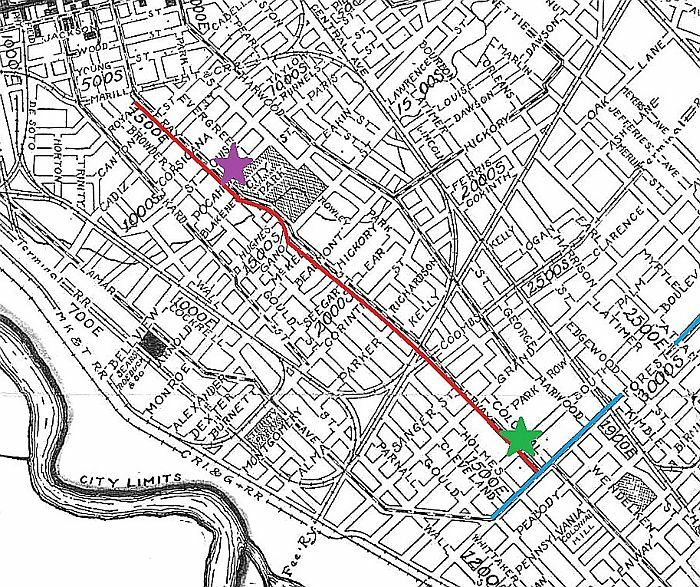 Henrietta continued to live in the St. Louis-facing house until about 1892, when she moved in with Max at his new home on Akard. 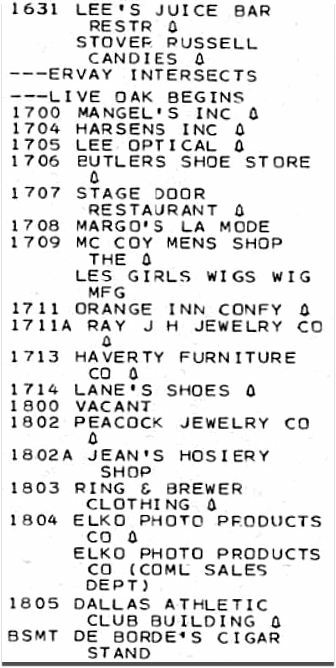 And, finally, the “285” address shows up in a directory, in 1891. 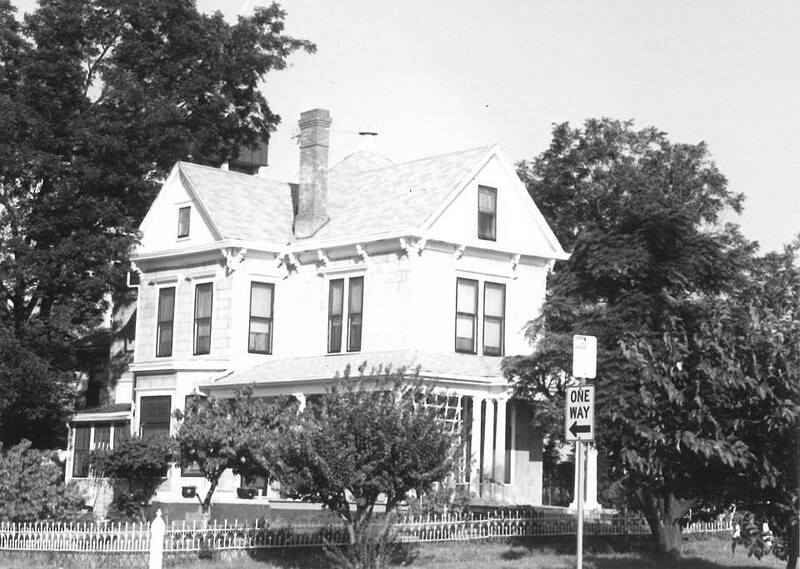 Paul F. Erb bought the Browder house from Dargan in 1896 (he also bought the adjoining Lot 6 house facing St. Louis in 1910). And we’re back to Paul Erb, seen in the 1911 directory listing old and new addresses at 1015/285 Browder. So. 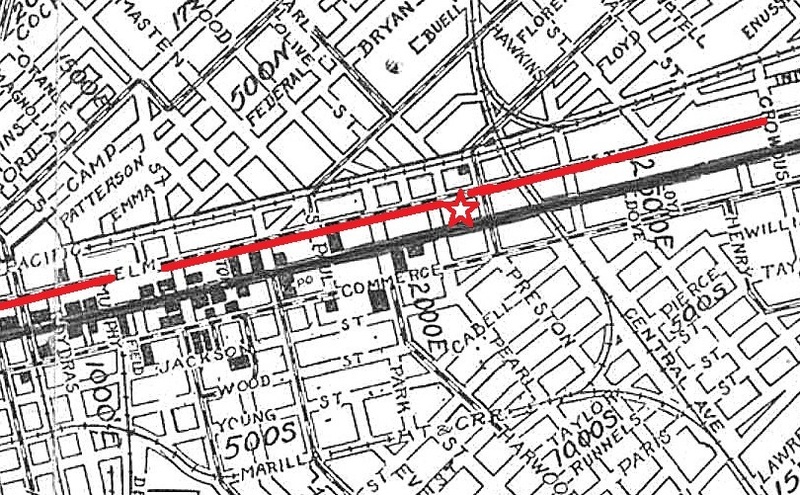 Without access to building permits, it looks as if Max Rosenfield (who, by the way, was the father of John Rosenfield — born Max John Rosenfield, Jr. — legendary arts critic for The Dallas Morning News) was the person who built the 130-year-old house now going through the process of probably being torn down soon. It appears to have been built in 1884 or 1885. 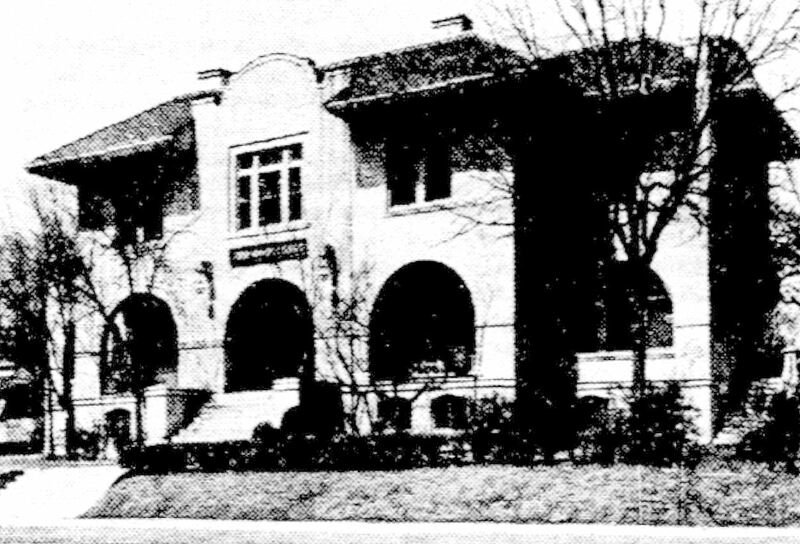 In a 1935 Dallas Morning News article celebrating the 50th wedding anniversary of Mr. and Mrs. Max Rosenfield, the house is mentioned: “…their first home, a house built by Mr. Rosenfield and still standing on the northwest corner of Browder and St. Louis streets…” (see the article “Mr. and Mrs. M. J. Rosenfield To Observe 50th Anniversary,” DMN, Jan. 6, 1935). 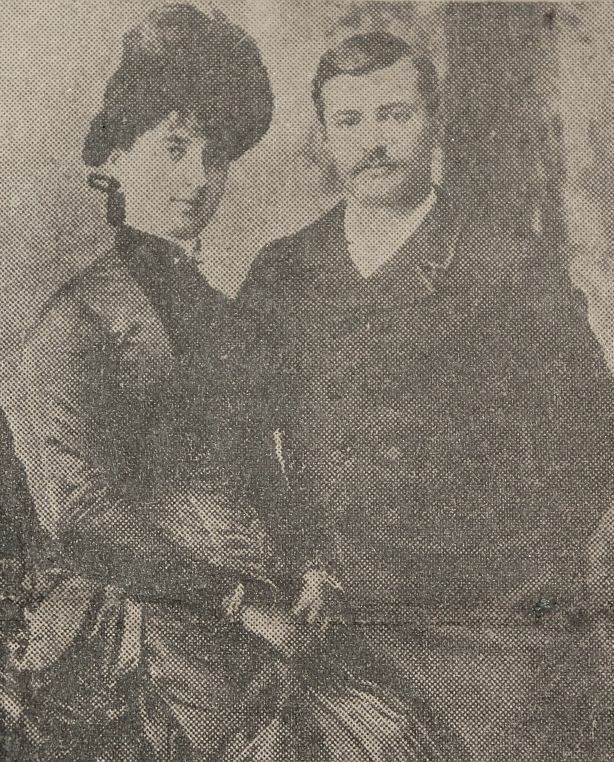 Below is a photo of Max Rosenfield and his new bride, Jenny, probably taken the same year the house was built, 1885-ish, when Max was 26 years old. Thank you for building such a pretty house, Mr. Rosenfield. Maybe some magnanimous person with deep pockets can have it moved to a new location and restore it to its former loveliness. 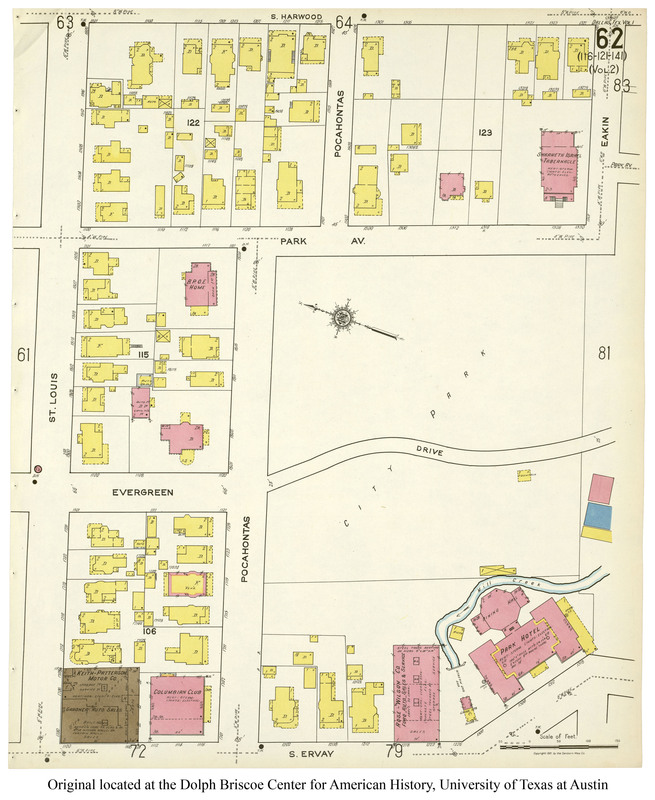 Here’s a detail of an 1893 map of the area, with the house in question marked. And here’s the lonely little house in its present hemmed-in location. This would have been about two blocks from the Rosenfield house. 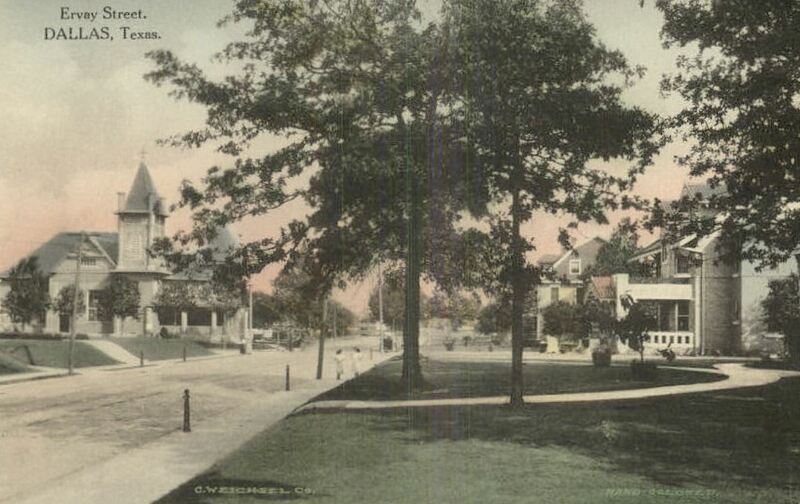 Imagine what that neighborhood once looked like! Watch a news report on the outcry over the possible demolition of this house on the WFAA website, here. 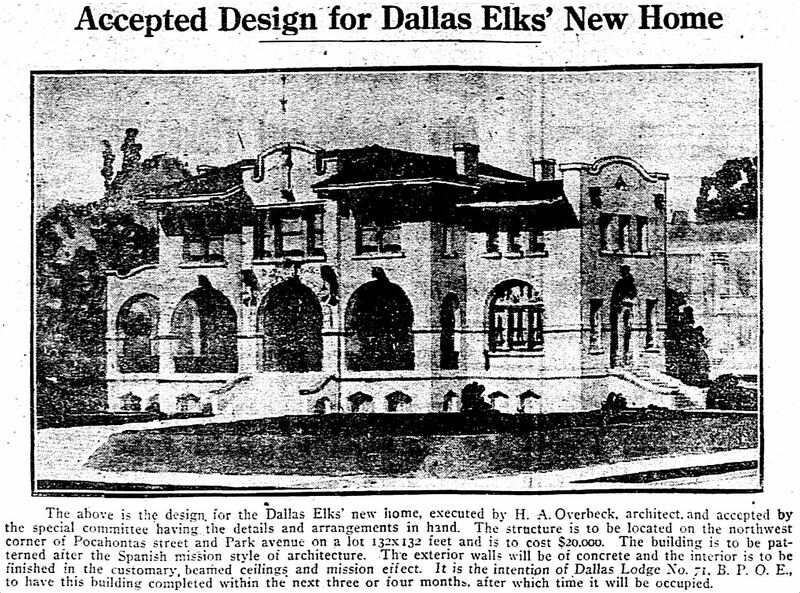 The Dallas Morning News article on the 50th wedding anniversary of Mr. and Mrs. Max Rosenfield in which it is mentioned that Max built the house (“…their first home, a house built by Mr. Rosenfield and still standing on the northwest corner of Browder and St. Louis streets…”) is “Mr. 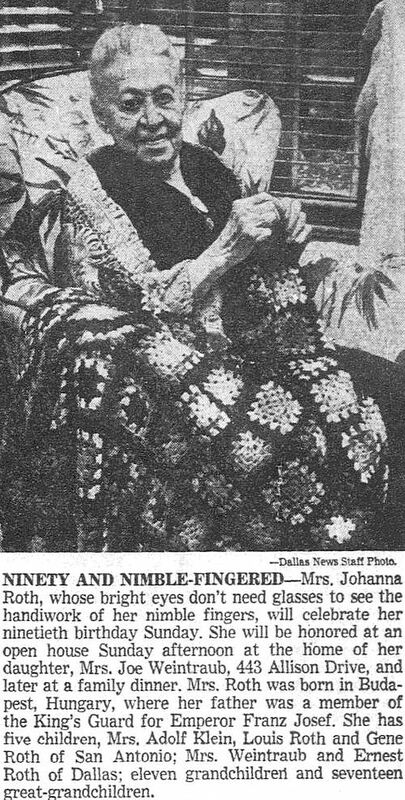 and Mrs. M. J. Rosenfield To Observe 50th Anniversary” (DMN, Jan. 6, 1935). Photo of the Rosenfields as a newly married couple found on Ancestry.com. 50th anniversary photo of Mr. and Mrs. Rosenfield is from the book John Rosenfield’s Dallas by Ronald L. Davis (Dallas: Three Forks Press, 2002). All other sources as cited. 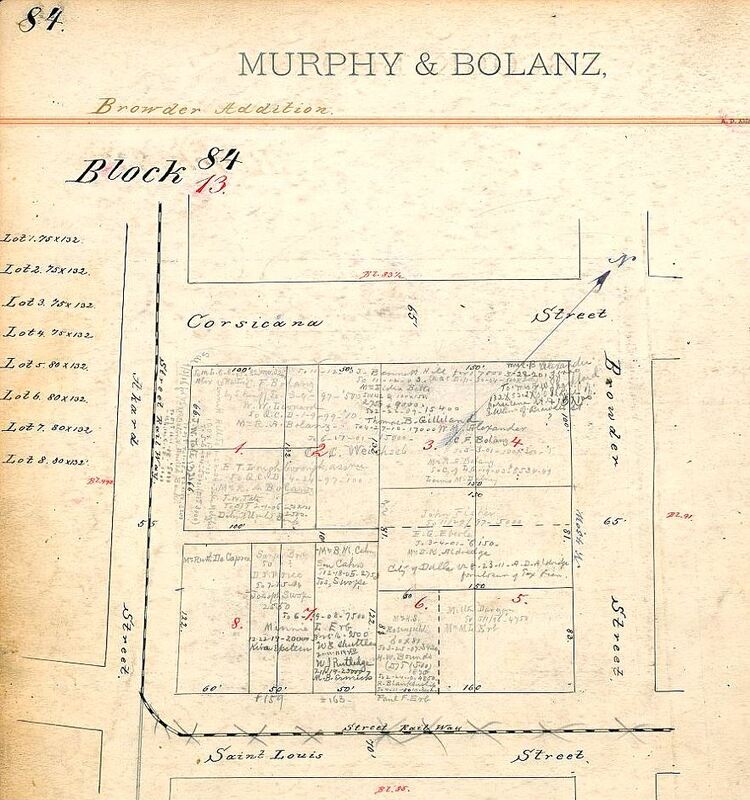 It’s worth trying to figure out how to use the Murphy & Bolanz block books, courtesy of the Texas/Dallas History and Archives Division of the Dallas Public Library. Background on these very useful books can be found here. If I’ve made any mistakes or have drawn any incorrect assumptions, please let me know! UPDATE: Max Rosenfield developed a real estate partnership with Gerson Meyer, both of whom worked for Sanger Bros. department store. 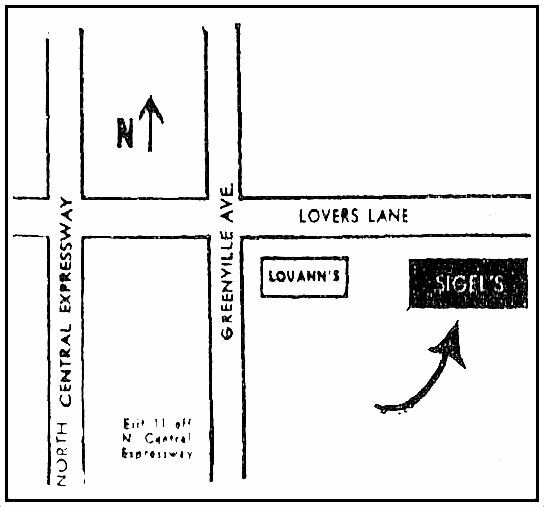 They bought and sold real estate (often to fellow Sanger’s employees), apparently as a lucrative side-business (Rosenfield even conducted his real estate transactions from his Sanger Bros. office). 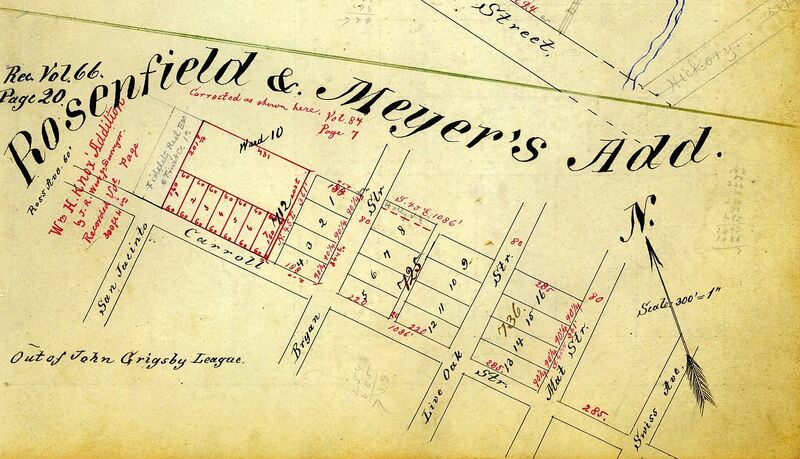 They apparently had acquired enough land by 1886 to have their own “addition” — “Rosenfield and Meyer’s Addition” in East Dallas. The earliest mention I found of it was this ad from May, 1886. Gerson Meyer (a Jewish German immigrant, just a couple of years older than Rosenfield), moved to St. Paul, Minnesota in 1897 and continued working for several years in men’s clothing. If something looks too small, click it!